« So You Want to Spread the Wealth? This entry was posted on Friday, August 12th, 2011 at 13:15 and is filed under Politics, Sarah Palin. Geee……..thanks Mark…………and here I was beginning to get worried – I would have to put up with our next savior…..Perry…….hmmm, now I feel much better. LOL Great post again. Interesting, too, Sarah has already also NOT endorsed Perry, but has also said she doesn't want to step on the toes of the vote in Iowa tomorrow – said they will already be on their way out of the state. Gotta love this lady……. I reaad the entire post. I don't agree with the analysis at all. I have lived in Texas for 23 years and as a very politically aware citizen, I am quite familiar with Rick Perry. I see his flaws and find lots of reasons to disagree with him. I don't think he should be given much credit for the state of the economy in Texas. But I believe Obama can be defeated by a broad swath of candidates with the proper campaign. 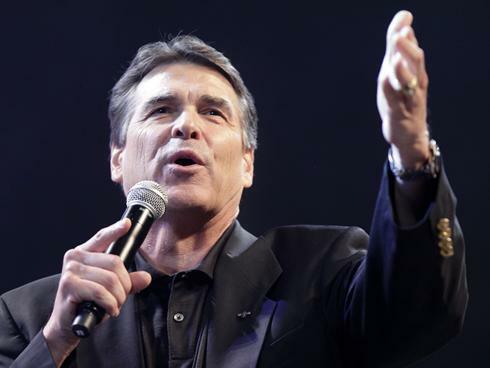 The country could do much worse than Rick Perry, especially with a veto-proof senate and a house majority. This thing is way too early to be calling. Though this isn't 2008, if John McCain ended up as the nominee then, it would take a much better case to rule anyone out than put forth in this article. Jack, I won't quibble. Would Perry be better than Obama? Sure. So would most candidates. Does that mean he should be President? Not so sure… My largest point of opposition to him turns around just a few issues, including the TTC, his weakness on the border, and his tendency to take money from corporate interests to the detriment of the people. He simply isn't a great leader, in my opinion. Thanks for stopping in!